What does an it engineer do? 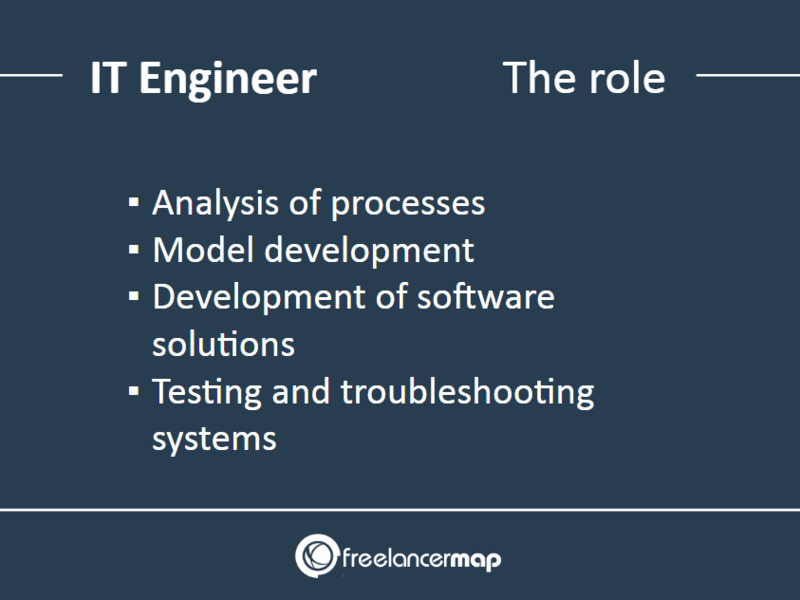 Career Insights: What does an IT Engineer do? IT engineers are responsible for the software, hardware, and networks in an organization. They develop software and processes in order to make information technology processing as smooth as possible. IT engineering is a very broad field that actually includes different responsibilities and tasks. Information technology (IT) involves applying technology to solve business processes, so as an IT engineer, it is necessary to provide the necessary framework for information processing in companies and organisations. This includes programming and maintenance of software solutions for information processing and the verification of their correct functioning. Today, not only pure programming knowledge is necessary. The tasks are increasingly linked to the development of models designed for different groups of people and often entails subjects like image processing, databases, software applications, etc. IT engineers are often active as projects managers, too. They coordinate the work of the team members in order to guarantee success. IT engineers develop specific software for specific processes. To do this, it is first necessary to analyze these processes and then develop models for them, which are then implemented in software solutions. Depending on the industry, an IT engineer develops these solutions on a company-specific basis or works on applications that can be used by as many customers as possible by standardizing and automating them. If they are successful, they simplify processes at all conceivable levels, across all industries. That's why IT engineers don't work in specific industries, even though their area of expertise is, of course, information processing. What are the Tasks of an IT Engineer? 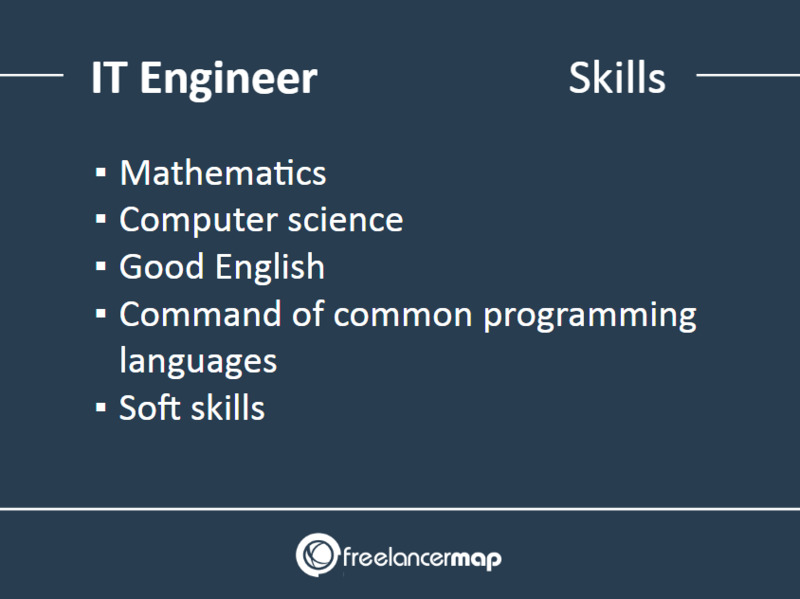 Find IT engineers on Freelancermap.com. 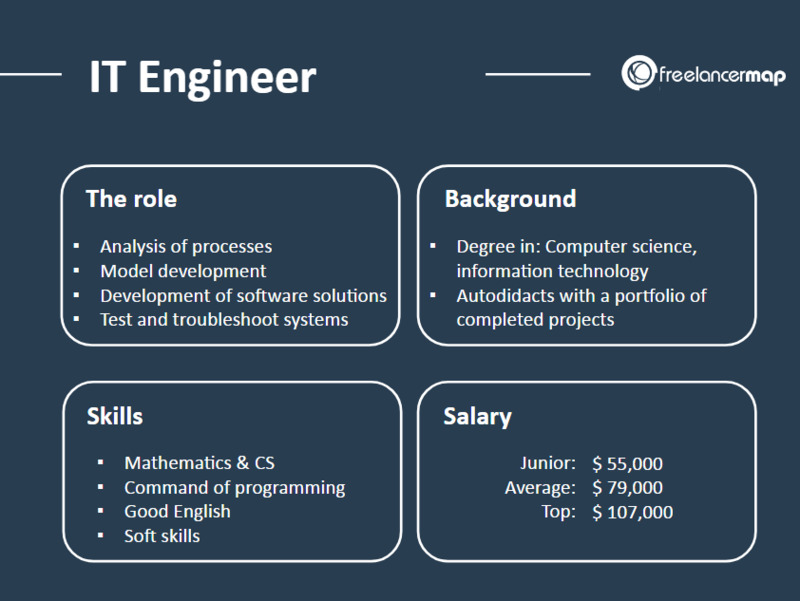 An important prerequisite for working as an IT engineer is a good knowledge of mathematics, computer science, and good English. In technical literature and the professional world, there is no way around the English language. Of course, IT engineers have to master all common and necessary programming languages, even if the requirements can vary greatly depending on the job. A good ability in abstraction, an analytical way of thinking and disciplined teamwork are also of great advantage, as the often complex projects often require a significant number of specialists. As in hardly any other professional field, the willingness for lifelong learning is an elementary component of soft skills. Due to the constant upheavals in the field of information technology, it is unthinkable to rest on what has already been learned. What must an IT Engineer be able to do? IT engineers usually have a degree or at least an education in the field of information technology. Career changers and autodidacts can also be successful in their profession if they can demonstrate the necessary skills - ideally through successfully completed projects. 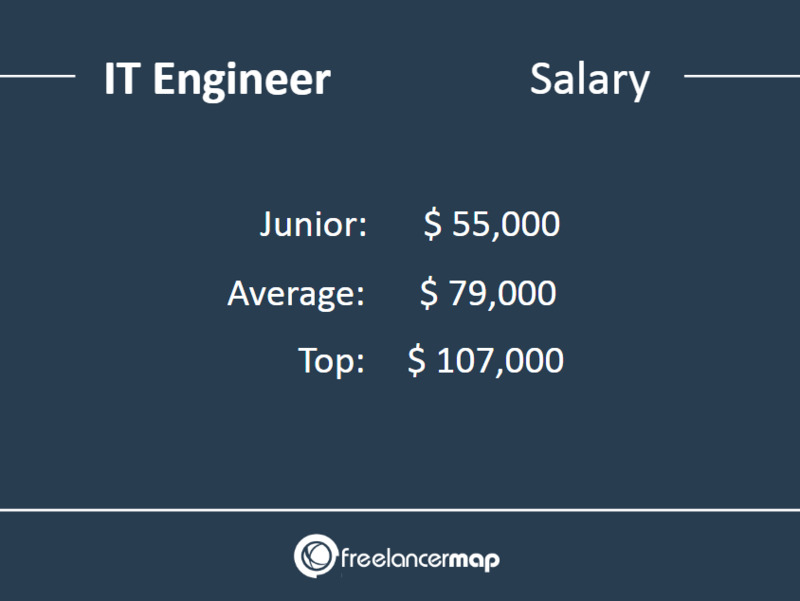 The salary spectrum ranges from around $55,000 for young professionals to $107,000 for more experienced engineers with professional experience. On average, employees in this field earn around $79,000 a year, which, depending on the case, also depends on factors such as the degree, length of service and the size of the company. Whether it is books, online articles, emails, Facebook posts or even the smallest things like Tweets, most people read a crazy amount of words each day without even thinking about it. Wouldn’t be great to read and comprehend faster?